Welcome to the latest issue of Golf Information News - your guide to what's worth reading in golf course architecture. We have a couple more new books to report in this issue, as well as the Dutch Turfgrass Research Foundation seminar and a new KPMG report. 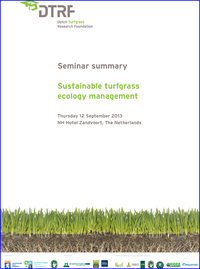 During the opening day of the 2013 Dutch Open KLM-open European Tour event in Zandvoort, The Netherlands, 83 people from 13 different European countries gathered together to discuss sustainable turfgrass management. The event was hosted by the recently founded Dutch Turfgrass Research Foundation (DTRF). It was its first international seminar. Stakeholders from inside and outside the golf sector were specifically invited for this international event. 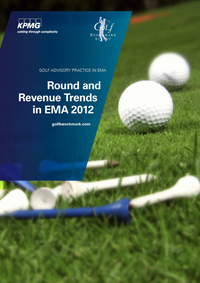 This new KPMG report is based on a questionnaire-survey of over 250 golf course operators in the EMA region about their business performance in 2012, the measures they have taken to improve profitability, as well as their future expectations. More new books added to the Library! 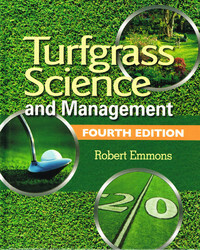 Turfgrass Science and Management, 4th edition, by Robert Emmons. This book is intended for both people who are working as turfgrasses managers and for students. It discusses the establishment and maintenance practices used by successful turfgrass managers and deals with the relevant scientific theory and practical management skills. 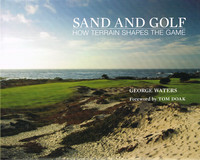 Sand and Golf: How Terrain Shapes the Game, by George Waters, with a preface by Tom Doak. This book explores what makes golf, and golf course architecture, so special on sandy terrain. Golf was born on sandy ground and the features of the game are a direct product of that terrain. Fairways and greens were derived from the naturally occurring areas of short grass found among the coastal dunes of Scotland. A round up of recently published articles from a range of magazines and online newsletters. All the usual titles have been covered, including the latest issues of Golf Range News, Golf Management Europe, Greenkeeper International, Greenkeeping and Greenside.